"Exeter have been exceptionally consistent again this season and have won every home league match at Sandy Park which underlines the task facing Bath." Leicester find themselves in the uncomfortable position of tenth in the Premiership after losing ten of their 16 matches. The Tigers have only won two matches in 2019, beating Gloucester and Wasps at home, with a heavy 32-5 defeat at Sale in their last game when they had Sione Kalamafoni sent off. Leicester have named a strong side for this fixture with five England internationals, including Jonny May and Manu Tuilagi, returning. Northampton come into the match off the back of a 23-9 Premiership Cup final victory over Saracens. The Saints appear to be on an upward curve under director of rugby Chris Boyd although they are still inconsistent. Northampton are seventh in the table and will need a strong finish to have any chance of claiming a top-four spot. Leicester won 23-15 against Northampton in October's first meeting at Twickenham and the hosts can complete the double this weekend. Tuilagi's commitment to the club, after signing a new contract and turning down a lucrative move to Racing 92, is a huge boost and his return is bound to lift the crowd. Home advantage could prove very important in the derby and Leicester are backed to edge to victory by up to 12 points. Premiership champions Saracens remain on course to return to Twickenham for the final with Mark McCall's side second in the table. A young Sarries team lost to Northampton in the final of the Premiership Rugby Cup last weekend. Saracens have lost two of their last three league games although they are on a 17-match winning run at home. 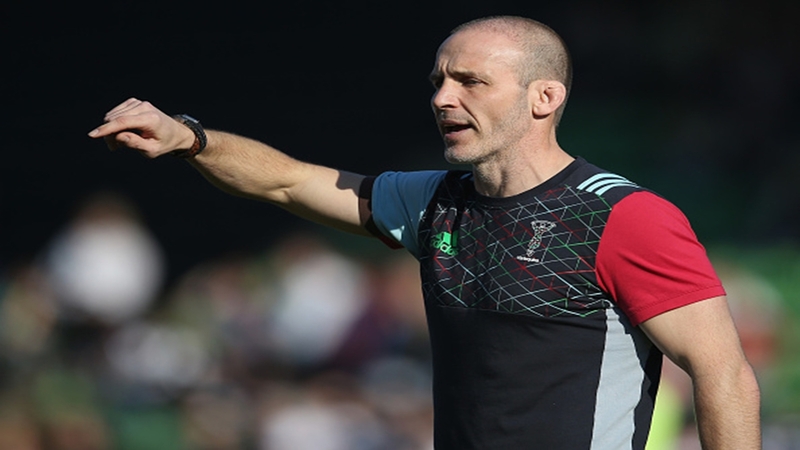 Harlequins have made significant strides under head of rugby Paul Gustard this year. The former Saracens defence coach has guided Quins up to third in the Premiership and well on their way to a semi-final spot. Harlequins' five-match winning run in the league was halted in their last match after a 29-7 home defeat to Gloucester. Saracens are understandable favourites but moving the game to the London Stadium negates home advantage for them and Harlequins are dangerous opponents. Sarries were pushed all the way at the Stoop in October after edging to a 25-20 victory and there is no guarantee of a comfortable win this weekend. Harlequins are handed an 11-point handicap advantage and this looks worth taking with Gustard likely to formulate a strong gameplan against his former club. Newcastle remain in trouble at the bottom of the Premiership but the Falcons have boosted their chances of avoiding relegation in recent weeks. Dean Richards' side clinched a vital 17-6 home win over rivals Worcester before a priceless 20-19 victory at Wasps in the last round. It leaves Newcastle three points behind the Warriors but with momentum on their side. Sale still have a shot of reaching the semi-finals, sitting fifth in the standings, but will need to bridge a seven-point gap on fourth-placed Gloucester. Steve Diamond's side ran out convincing 32-5 winners at home to Leicester in their last match although their opponents finished the match down to 14 players. Newcastle are still in desperate need of victories and will see this match, which is being staged at St James' Park, as a big opportunity. The Falcons managed to defeat Northampton last season at the football ground and the extra backing could give them the edge. Newcastle are backed to secure their third successive victory to aid their survival prospects. 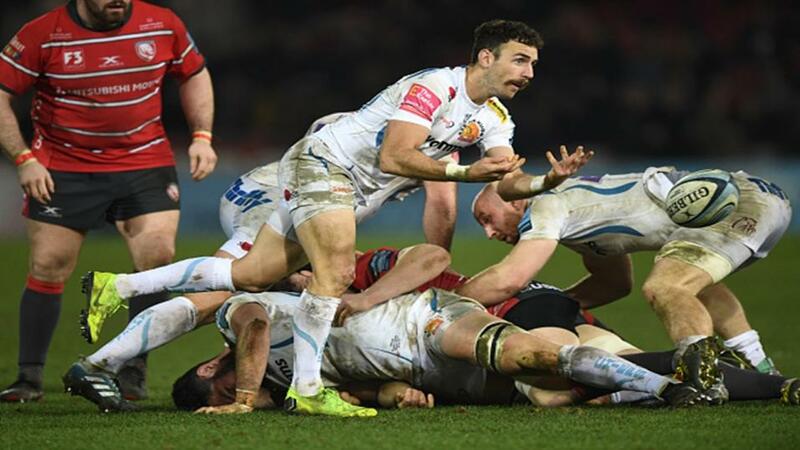 Exeter have opened up a commanding eight-point lead at the top of the Premiership after winning 13 of their 16 matches this season. The Chiefs come into this match on a three-game winning run after edging to a 33-30 victory at Sale in the last round. Rob Baxter's side coped impressively during the international period, with a number of absentees for the Six Nations, as they consolidated top spot. Bath are in contention for a top-four finish despite an inconsistent campaign. The side are currently sixth in the table after winning seven of their 16 matches. Bath claimed an 18-9 victory over Saracens in their last match but the team have struggled for results away from home, with only one win on the road since the middle of September. Exeter have been exceptionally consistent again this season and have won every home league match at Sandy Park which underlines the task facing Bath. The Chiefs have also won the last four games against Bath and will be confident about extending this run. Exeter won 39-24 in the away meeting and the hosts are worth backing to again cover an 11-point handicap this weekend.